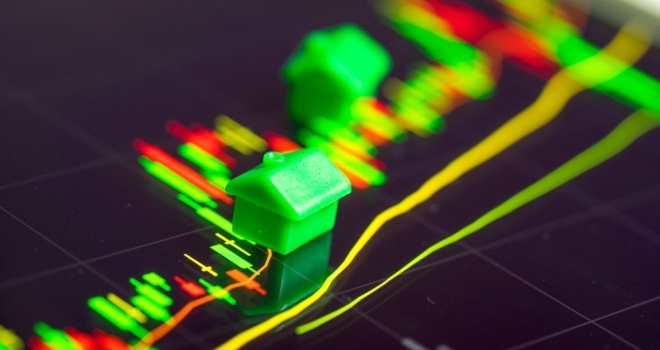 The latest data and analysis from Nationwide has revealed that, on the whole, the housing market appears to be bearing up under the continued economic and political pressure that the UK is experiencing at the moment. According to the figures, annual house price growth in November has edged up to 1.9% - a 'modest' 0.3% increase when compared to the previous month. Robert Gardner, Nationwide's Chief Economist, explains: “While house price growth picked up a little in November, it remained relatively subdued at 1.9%, up from 1.6% the previous month. Looking forward, much will depend on how broader economic conditions evolve. In the near term, the squeeze on household budgets and the uncertain economic outlook is likely to continue to dampen demand, even though borrowing costs remain low and the unemployment rate is near 40-year lows. If the uncertainty lifts in the months ahead and employment continues to rise, there is scope for activity to pick-up through next year. The squeeze on household incomes is already moderating and policymakers have signalled that, if the economy performs as they expect, interest rates are only expected to rise at a modest pace and to a limited extent in the years ahead. After falling by almost 60% in the wake of the financial crisis, there has been a significant pick up in construction in recent years. New build completions in England in 2017/18 reached 195,300, around 3% below 2007/08 levels. of use’, such as turning former offices into flats. Indeed, on this broader measure, net additions to the housing stock are now just 0.6% below 2007 levels. The ‘change of use’ of buildings – i.e. from shops, offices and other commercial purposes, to homes – has provided a significant boost to supply in recent years. The change in government policy in 2014 to grant automatic permitted development rights to convert offices into residential properties has been a major factor, accounting for around half of dwellings created via change of use since its introduction. While 2017/18 saw a slowing in ‘change of use’ compared with the previous year, it still accounted for c30,000 dwellings, around 70% above 2007/08 level. In some areas, such as Nottingham and Bristol, ‘change of use’ accounted for around half of homes added over the past three years. Paul Smith, CEO of haart estate agents, says: “It is extremely encouraging to see house price growth edge up on the month and the year. Evidently, buyers are not caught up in the Brexit hysteria and are willing to pay more for their property, especially in the Midlands where prices are rising fastest. This week Mark Carney released his doomsday analysis of a ‘no deal’ Brexit which included claims of a house price crash. But we’ve heard this all before. In 2016 the Treasury said house prices would fall by 10% in the immediate aftermath of a vote to leave. Today they are 9% higher than June 2016. The reality is that EU or no-EU, good Brexit deal or bad Brexit deal, the need to move home will always be there for a whole host of reasons, including for good schools, new jobs and better transport links. Paresh Raja, CEO of Market Financial Solutions, says: "These latest figures come at a critical time for the UK property market, with Brexit clearly playing on the minds of buyers and sellers. Similar to what we saw in October, house prices have remained subdued with modest month-on-month growth. This should not be a cause for concern - the current imbalance between supply and demand means that house prices will remain stable even during this period of market uncertainty. And compared to the performance of other assets, real estate has certainly not lost its appeal. Indeed, as the HPI shows, house prices have in fact risen by close to 2% over the last 12 months. All eyes now turn to 11 December when Theresa May's proposed withdrawal agreement will be voted on by Parliament. Should it not pass, we're likely to face a period of prolonged uncertainty, and this will no doubt prompt many people to hold back on their planned real estate investments until there is more clarity on how Brexit will be managed." Mike Scott, chief property analyst at Yopa, comments: "Nationwide’s latest index reveals a slight improvement in the property market, with the annual rate of house price growth going from 1.6 to 1.9 per cent, and a 0.3 per cent increase in prices for the month. It now seems almost certain that the increase in prices for the whole of 2018 will exceed the Nationwide’s forecast of 1 per cent. Nationwide also reports a recovery in the number of houses built, with new-build construction at its highest rate for almost a decade. When conversions, change of use and demolitions are taken into account, the net new supply of homes is only 0.6 per cent behind the peak from 2007/08. However, even this level of new supply is less than 80 per cent of the figure of 300,000 per year recommended in 2016 by the House of Lords economic affairs committee, and so we have not yet begun to catch up on the backlog built up during the years after the credit crunch when the number of new homes collapsed. Total supply in the market thus remains tight, and we do not expect supply to exert any downwards pressure on house prices next year." Mark Readings, Founder and Managing Director of online estate agency, House Network, had this to say: "Whilst we are seeing positive, yet slow growth in House Prices across the UK, the capital remains dismal as Brexit uncertainty continues. The change will come once political uncertainty fades and the economic outlook post-Brexit becomes clearer. As mortgage approvals rise, first-time buyers are honing in on low-interest rates and help-to-buy schemes in areas outside of London. Looking ahead to next year, as confidence is resumed and momentum regained, we expect to see new supply coming onto the market, especially in the capital where sellers remain on the fence." Jeremy Leaf, north London estate agent and a former RICS residential chairman, says: "These figures are better than expected, after unchanged monthly price and lowest annual growth for more than five years last month. They come on the back of encouraging mortgage approval and transaction figures yesterday which show, once again, that realistic buyers and sellers are taking advantage of very low mortgage rates and shrugging off Brexit concerns. These seem to be weighing more heavily on buyers in London and the south east as the old north/south divide is turned on its head with the property market in the capital and its environs now dragging down the rest of the country. Looking forward, we don’t expect any major changes in the period leading up to Christmas unless our departure from the EU is finalised more clearly one way or the other but there is no doubt we are finding there is considerable pent-up demand awaiting more settled times." Dilpreet Bhagrath, Mortgage Expert of online mortgage broker, Trussle, comments: “During uncertain times, a small increase in property prices will be welcome news for home owners, particularly those with a large amount of debt attached to their home. For those struggling to get onto the property ladder, the rise in house prices will once again take them further away from their goal. A first-time buyer deposit costs nearly two years’ of average earnings, not taking into account any expenditure, so those looking to get on the ladder are facing a long journey to home ownership. There are some useful saving tools that can help boost savings, such as the Help to Buy ISA. But the younger generation still find themselves having to make drastic lifestyle changes to reach their dream of home ownership."